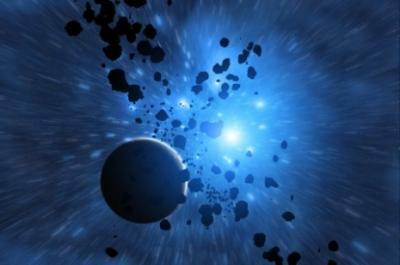 The journal Science reports researchers have uncovered evidence of a previously unknown family of asteroids that appear to be the oldest known objects in the universe. The asteroids are 4 billion years old and are floating around out there in space. For comparison, the universe itself is thought to be about 4.6 billion years old, so these asteroids are pretty old indeed. As your bank explores the present situation and projects into the future during strategic planning this year, we have some ideas to help you perhaps. Assessment/Objectives - Determine where your bank is now and where it wants to be. This seems a simple pair of questions to consider, but it often is not. Step back and honestly consider your bank's unique place in its market. This should include things such as geography, customers, online activities and product offerings. What is your bank's standing and reputation in the market? How should that change in order for the bank to grow and evolve into profitable new areas? Roadmap - Think about how your bank can get from where it is to where it wants to be. Like any good plan, there not only needs to be an objective, but also a realistic and solid progression of activities that will lead to meeting that objective. Bank leaders and board members should consider what the bank already does well, the areas on which it must focus on improving, and the resources (including staff, existing retail delivery or technology, capital or other assets) that can be utilized in order to help the bank meet these goals as quickly and efficiently as possible. Strategic planners must consider how much effort, time and resources it will take to move the dial from where it is to where you want to go. Metrics - Discuss how the bank will measure its progress toward its goals. This process is often easier said than done. Success can mean very different things to different people, especially when considered in the context of the bank's existing place in the market and its strengths and weaknesses as it enters a new arena or expands its standing. There must be agreement on this of course, so it is important to discuss this thoroughly. How does your community bank define what it would like to achieve (and by when) in a particular area? Tools - Look for useful tools to assess the bank's changing risk profile along the way so you can adjust the plan if needed. The OCC for example, publishes an examination tool called The Risk Assessment System. Banks can use it to help identify and manage risk along the way. This is important as your bank shifts approach, targets new customers, enters new product areas and other factors. The system can also help your bank determine the "direction" of risk, based on strategic changes. Using tools such as this will provide you with pertinent information and could save you time. For even more tips on how to avoid the asteroid of poor strategic planning, as you improve your bank's strategy sessions, check out our March 30th BID. Yields popped up 3bp as investors waited expectantly for the global central bankers' conference. Barclays becomes one of the first large global banks to allow Siri to make payments using a mobile phone. Customers can now say "Siri Pay Mary $20 with Barclays". Fed Vice Chair Fischer said loosening banking regulation at this point could be "very, very dangerous" and a "terrible mistake". American Banker reports the CFPB is looking into another scandal at Wells Fargo. This time, the Bank reportedly closed or froze customer accounts unexpectedly, leaving customers without access to their money. White House economic adviser Gary Cohn is emerging as the clear front-runner for the nomination to succeed Fed Chair Yellen, with 49% of economists polled, according to a survey conducted by the National Association for Business Economics. Canadian Imperial Bank of Commerce is launching Simplii Financial, a direct banking brand that offers no-fee banking through online, mobile and telephone channels. Bankers will find it interesting that fingerprints have 40 unique characteristics vs. 266 for iris scanning. This is why many security experts prefer iris scanning over fingerprints for authentication. A federal court has ruled lengthy online customer agreements are binding even if customers don't fully understand them or take the time to read them. The Wall Street Journal reports that in the first 6 months of 2017, there was a historically high number of class-action securities law suits. In an effort to expand our relationships, PCBB is pleased to offer community banks a money market deposit account rate of 1.35%, subject to availability. Contact operations@pcbb.com for more information today.